You wouldn’t think that people would complain about falling prices, but economists worry when it goes beyond a short run trend into the long term. An article in the Economist outlines the concern on a global level, and sites oil prices falling as a motivator in the current quarter’s fall of prices of 0.3%. Typically 2% increase is seen as a good equilibrium. Mentioning the drop of crude it notes that the decrease directly involves fuel and transportation costs of goods (while the service industry isn’t effected so much). And of course, while crude has dropped over 50% as a commodity, refined gas on average has only by a third or so due to a sort of ‘sticky prices’…easily will climb, yet not come down so easily! I spoke yesterday with a reporter from KCHU, the public radio station out of Valdez, and she inquired of a daylong of workshops at the Kenny Lake Community Center (on 2/28). When mentioning the sessions that will include Extension faculty, the local economic development authority, and local experts she asked if wood was a big thing up there. It is. In fact, if you look at the Valley’s 2013 energy plan you’ll see that Biomass takes up more pages than any other of the eight types of energy listed. The 2010 American Communities Survey found that around a third of the residents heat wood- which is no light load considering the Interior like temperatures that can occur in winter. It is also estimated in the report that the are 3 million acres of wood available for development. That may be cord firewood, bio-brick products or possibly chips. If you have a chance on the 28th to come down to Kenny Lake (or up the 90 miles from Valdez) you can hear first hand how biomass is being used and is the planning stages for locally made products! This past week, while several School of Natural Resource and Extension faculty presented at the Alaska Forum for the Environment, many presented in the evenings at the Anchorage Cooperative Extension office. 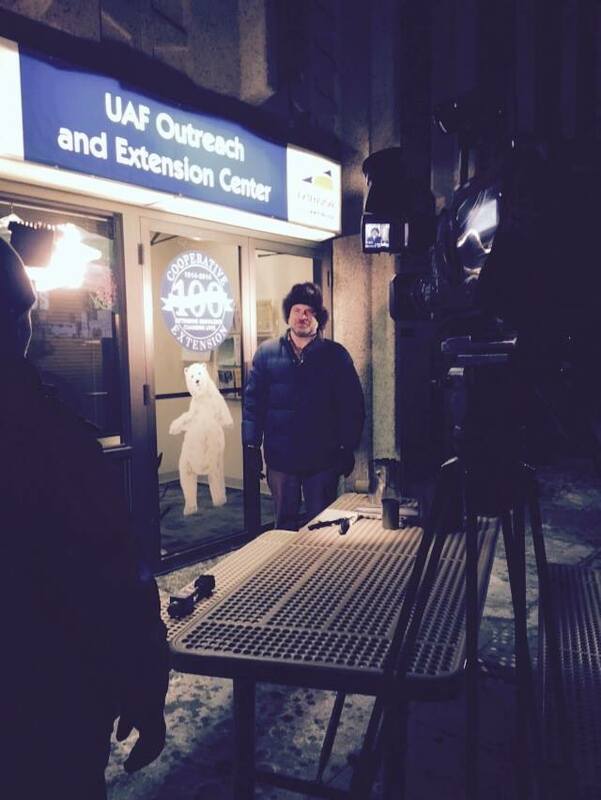 It was slated as “Extension Home and Energy Week”, and to kick it off I met with KTUU’s Garrett Turner (at 6am) to show how an assembled rocket stove can be used in camping and disaster situations. Take a look at the clip (almost 6 short minutes long!) Give a call if you are interested in constructing a Dunn burn box out of 2×4’s, or rocket stoves out of easy to access cans. Attendees learn about combustion, biomass, particulates and emissions as well as how to be prepared for emergency situation food preparation. These are great items for scouts, youth groups/4H, homeschoolers, etc…and I am able to travel to group workshops to teach how. (inquiries can contact me at 474-6366).